Layoffs have hit about 12 newsrooms owned by Gannett since yesterday, the same day Verizon Media announced up to 800 jobs — or 7% of its employees — will be cut across the company, which includes Yahoo, AOL and HuffPost. Including the cuts announced at BuzzFeed yesterday, that’s over 1,000 media jobs lost in one day, according to Axios. Both legacy and digital pure-play media companies are struggling to find a sustainable business model in a tough environment, competing for print and digital ad dollars, as well as eyeballs against platform giants Google and Facebook. HuffPost began laying off employees Thursday morning. An estimated 750 Verizon Media employees are expected to lose their jobs. HuffPost's Opinion section will also be axed. HuffPost unionized with the Writers Guild of America, East two years ago. A union spokesman said at least 15 members had lost their jobs. Some nonunion employees were expected to be cut as well, the site reported. It's unknown how many Verizon media jobs will be cut. So far, about 30 jobs were lost at Gannett, across at least 12 local newspapers, according to Poynter. That includes cuts at The Indianapolis Star, Arizona Republic, Knoxville News Sentinel, The Tennessean, The Record (of North Jersey), TheJournal News (of Westchester, New York), Ventura County Star (of California), The Citizen Times (in Asheville, North Carolina), Corpus Christi Caller-Times (of Texas), the Argus Leader (in Sioux Falls, South Dakota), The News-Press (in Fort Myers, Florida) and USA Today’s travel section. No final tally on how many journalists and news outlets will be impacted. Many let go were veteran journalists who had been at their newspapers for decades. On Twitter, a number of those journalists expressed shock to be let go suddenly after years devoted to the publications. 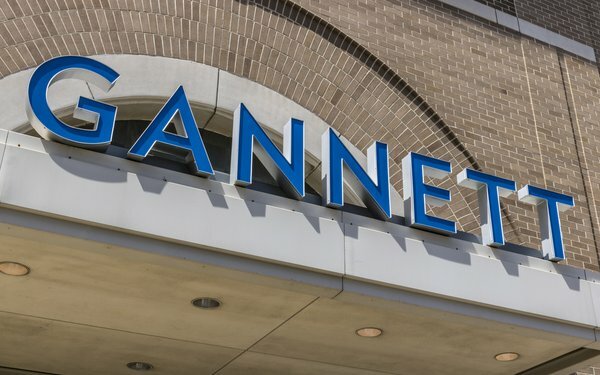 Gannett, which owns USA Today and 109 other local media companies, received a takeover bid just a few weeks ago from Digital First Media. Digital First, which owns the Denver Post and Boston Herald, among others, offered to buy Gannett for $1.36 billion.